Terrorbird Media is back for the SEVENTH SXSW party! Talk about consistent. 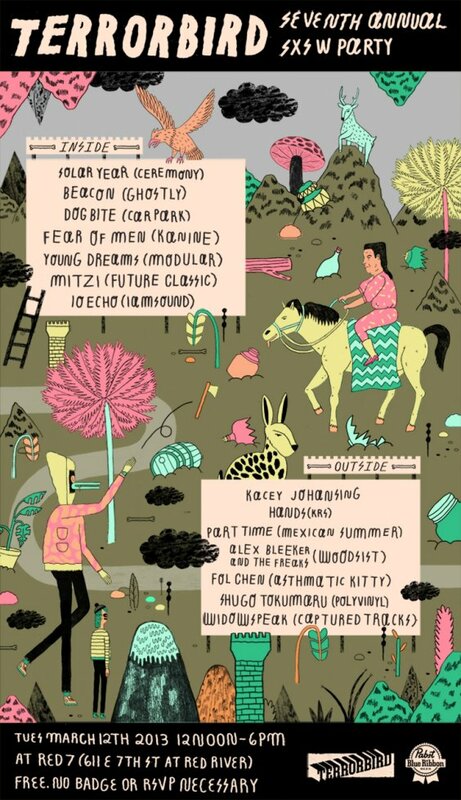 This year Terrorbird has some great bands on the bill including IO Echo, Widowspeak, Young Dreams, and more! Get the full lineup after the break. No RSVP for this one, and since it is sponsored by PBR, I like to believe there will be free beer!